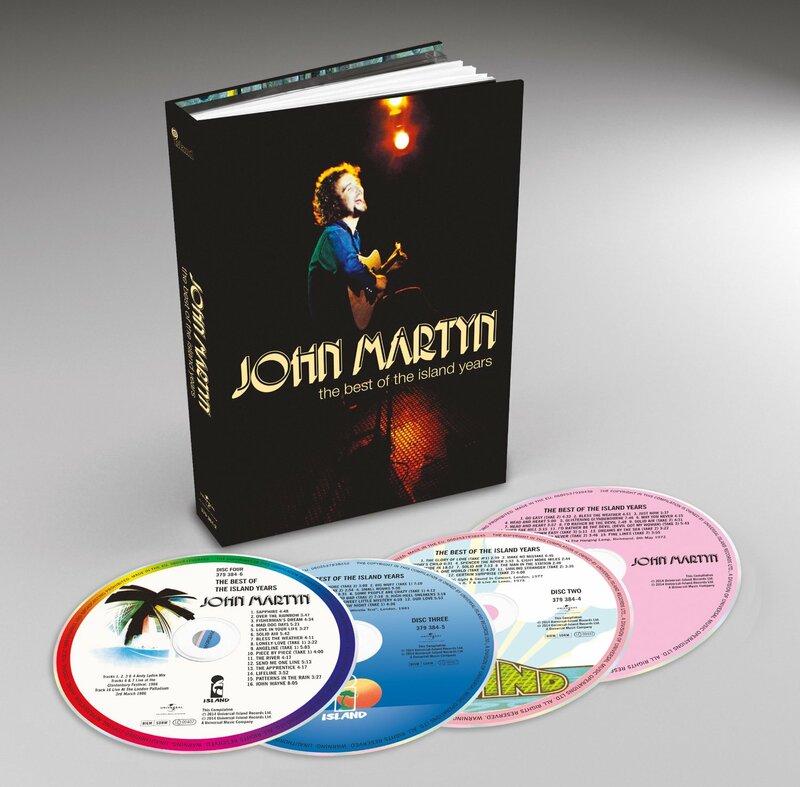 Last year, Commercial Marketing released The Island Years, an eighteen disc box set celebrating the twenty years John Martyn spent at Island Records. This included the seventeen albums John Martyn released between 1967 and 1987. As if that wasn’t enough, The Island Years included previously unreleased mixes, out-takes, previously unheard songs and two complete, previously unreleased live solo concerts from 1972 and 1977. Along with the demos for The Apprentice, which was meant to be the last album John Martyn released on Island Records, The Island Years was the most comprehensive reissue of John Martyn’s Island Years. However, there was a problem, the price. The Island Years cost around $200. For many people, that was out-with their price range. Many longstanding John Martyn fans were unable to afford what was obviously a luxurious and lovingly compiled box set. Now, just over a year later, Universal Music have released The Best Of The Island Years a four disc box set. The Best Of The Island Years features fifty-six tracks spread across the four discs. These fifty-six tracks are a mixture of alternative takes and live tracks. This includes versions of John Martyn classics, including Bless The Weather, Solid Air, One World, May You Never, Glistening Glynebourne, Over The Hill and Angeline. However, there’s much more on The Best Of The Island Years than six classics. After all, John Martyn spent twenty years signed to Island Records. For John Martyn, Island Records was where he released the best music of his career. It was also where a nineteen year old John Martyn released his debut album London Conversation on Island Records. This was the start of a twenty year association with Chris Blackwell’s Island Records. With Island Records now marketing John as a solo artist, he released six studio albums and one live album, 1975s Live At Leeds, between 1971 and 1977. the first of these albums was Bless The Weather. November 1971 saw the release of Bless The Weather. It was hailed as the finest album of John’s solo career. Mostly, it features acoustic music. The exception is Glistening Glynebourne, which showcased John’s echoplex. It would become part of John’s trademark sound. This was a hint of what was to come from John. By far, the best album of the seventies was his seminal album Solid Air. Released in February 1973, Solid Air is seen as one of the best albums of the 1970s. The title track was a tribute to Nick Drake, a close friend of Martyn’s who died tragically of an overdose. During the recording of Solid Air, John Martyn was to meet bassist, Danny Thompson. The pair collaborated right up until John’s death in 2009. John’s vocal style changed during the recording of Solid Air. At that time, he started to develop a new slurred vocal style. The timbre of this new vocal style resembled a tenor saxophone. Just like the echoplex, this new singing style became a feature of John’s future albums. What started out as a holiday, ended up with John collaborating with reggae producer Lee “Scratch” Perry. One World is seen by some people as the first ever trip hop album. As a result, John Martyn is perceived as the father of trip hop and One World a John Martyn classic. After One World, John didn’t release an album for three years. The eighties were a turbulent time for John Martyn, both personally and professionally. By the end of the seventies, John’s marriage had broken down. This led to John pressing “the self destruct button” as he described it. John became addicted to alcohol and drugs. He later said this was avery dark period in his life. Grace and Danger, which was released in October 1980, was the album that came out of this period. Back at Island Records, John Martyn only released two studio albums. Sapphire released in November 1984, had a poppy sheen. It was quite unlike John Martyn. So was Piece By Piece, which was released in February 1986. Neither album proved particularly successful. So Island Records released a live album, Foundations, in 1987. This was much more representative of John Martyn. Sadly, still commercial success eluded John and Island Records dropped Martyn in 1988. This brought to an end a twenty year association with Island Records. It’s celebrated on Universal Music’s four disc box set, The Best Of The Island Years. Disc one of The Best Of The Island Years features fifteen tracks. This includes twelve alternate takes. There’s alternate takes of John Martyn classics Bless The Weather, Glistening Glyndebourne and Solid Air. They’re joined by alternate takes of old favourites like Head And Heart, I’d Rather Be The Devil, Go Down Easy and Fine Lines. With these tracks being alternate takes, it’s an opportunity to hear classics and favourites with a twist. Sometimes, it’s a chance to hear a song evolving. Other times, familiar tracks are given a twist. Always though, it’s a compelling insight into John Martyn. That’s the case with live tracks. The other three tracks on disc one May You Never, Head and Heart and I’d Rather Be The Devil are a tantalising taste of John Martyn live. These three songs were recorded live at The Hanging Lamp, in Richmond, on 8th May 1972. I’d Rather Be The Devil is transformed into an eight minute epic, and would forever be staple of John’s live shows. Just like disc one of The Best Of The Island Years, disc two sees alternate tracks and live tracks sit side-by-side. There’s a total of twelve tracks. Eight are alternate tracks and four are live tracks. Ironically, the live tracks include Outside In, Solid Air and The Man In The Station from John’s 1975 Live At Leeds album, which Island Records rejected. For anyone yet to hear the Live At Leeds album, this will whet their album for this legendary live album. The other two live track Spencer The Rover, was recorded for BBC’s Sight and Sound concert series. The other eight tracks on disc two of The Best Of The Island Years, are alternate tracks. Among the highlights is an alternate take of John’s classic track One World. Other highlights include Sunday’s Child, Outside In and Dealer, another staple of John’s live sets. A welcome addition is the instrumental Make No Mistake and Eight More Miles. They ensure that disc two includes The Best Of The Island Years. However, what about disc three? 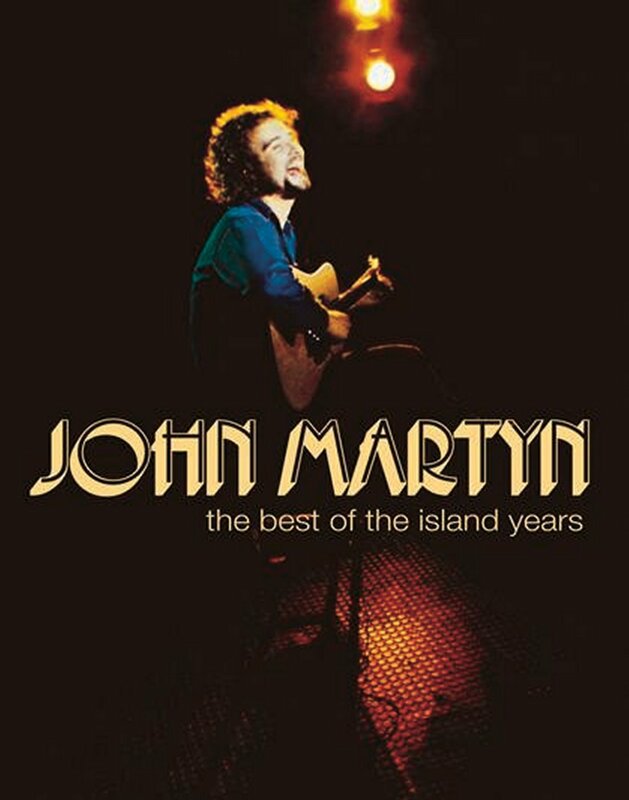 Of the four discs, disc three of The Best Of The Island Years, proves to be absolutely crammed full of John Martyn classics and favourites. It’s a case of sitting back and revelling in the delights of the thirteen tracks. Of these thirteen tracks, twelve are alternate tracks. From the opening track, an alternate take of the soul-baring Couldn’t Love You More, John has you hooked. After that, tracks like Big Muff, Some People Are Crazy, Grace And Danger and Johnny Too Bad. They prove a reminder of one of the most talented, and underrated British musicians of the last fifty years. So do Dancing, Small Hours, Our Love and After Tomorrow Night. They’re a reminder of what music lost on 29th January 2009, the year John Martyn died. That day music lost one of its most talented sons. John was also one of the most charismatic musicians when he performed live. His natural habitat was the road. He never seemed happier touring, especially with bassist and soul mate Danny Thompson by his side. Musically, they were yin and yang. They grew old together playing old favourites like Sweet Little Mystery. The version of Sweet Little Mystery was recorded for BBC TV’s much lamented Old Grey Whistle Test, where musicians like John were regular features. Indeed, for many people, that was their introduction to John Martyn. This would be the start of a love affair with his music. The fourth and final disc in The Best Of The Island Years box set, features sixteen tracks. They’re a mixture of alternate takes, live tracks and alternate mixes. Only three live tracks feature on disc four. There’s versions of Solid Air and Bless The Weather recorded at the Glastonbury Festival in 1986. The other live track is a version of John Wayne recorded at the London Palladium, in 1986. Just like the other live tracks on The Best Of The Island Years box set, they’re a reminder of how good a live performer John was. Live he seemed to come alive, feeding off the audience. That was the case in 1986, when John played the Glastonbury Festival and the London Palladium. Sadly, 1986 was the year he released his last album for Island Records Sapphire. There are four alternate mixes on disc four. They’re all from John’s 1984 album Sapphire. This was John’s Island Records’ comeback album. It was produced by John, and recorded at Compass Point Studios, Nassau, Bahamas and at CaVa Sound Workshops, Glasgow. Andy Lyden mixed Sapphire the title-track. However, on disc four of The Best Of The Island Years, there’s the opportunity to hear Andy Lyden mixes of Sapphire, Over The Rainbow, Fisherman’s Dream and Mad Dog Days. These three new mixes allow you to compare and contrast with the original versions. That’s also the case with the alternate takes on disc four. Of the alternate takes on disc four, tracks like Lonely Love and Angeline from 1986s Piece by Piece are truly beautiful tracks. Some of the most underrated tracks on disc four are from The Apprentice sessions. This includes The River, Send Me One Line, The Apprentice and Patterns In The Rain. When The Apprentice was eventually released in 1990, it was hailed as John’s comeback album. However, in the eighties, Island Records rejected The Apprentice. By then, John’s time at Island Records was at an end. After a twenty-one year association with Island Records, John Martyn left the label in 1988. A lot had happened during that period. John had arrived at Island Records as a nineteen year old folk singer. He left aged forty, having released a string of classic albums. Among them, were Bless The Weather, Solid Air and One World. Each of these albums were very different, as John’s sound continued to evolve during his time at Island Records. That’s apparent when you listen to the four discs and fifty-six tracks on The Best Of The Island Years. Over the twenty one year period The Best Of The Island Years covers, John’s music incorporated everything from blues, country, dub, folk, jazz, psychedelia and rock. Constantly, John was taking his music in different directions. He was never content to find a “sound” and stick with it. That was for other artists. Similarly, when WEA and Island Records tried to take John’s music in a much more commercial direction, it didn’t work. John was his own man, with his own ideas about music. One of these ideas was to be constantly pushing music boundaries, exploring and experimenting. To some extent, he did that every time he stepped onstage. That’s why John Martyn’s career lasted over forty years. There was life for John Martyn after Island Records. 1990s The Apprentice was John’s comeback album. After The Apprentice, John continued to release albums. He released five further albums, and continued to tour relentlessly. During these gruelling tours, new fans discovered John’s music. These new fans delved deep into John Martyn’s back-catalogue, devouring the delights of albums like Bless The Weather, Sunday’s Child, Solid Air and One World, which John released on Island Records. They’re just the tip of a musical iceberg. There’s much more music awaiting discovery. This includes the seventeen albums John Martyn released on Island Records. They featured on the 2013 box set The Island Years. However, if your budget doesn’t stretch to $200, then Universal Music’s The Best Of The Island Years is the perfect introduction to John Martyn’s Island Years. ← THE ALLMAN BROTHERS BAND-THE 1971 FILLMORE EAST RECORDINGS.